TBD Creative's award-winning web site design and development includes the creation of interactive solutions from the simple to the complex. TBD Creative works closely with clients to strategically develop a functional, informative online presence. 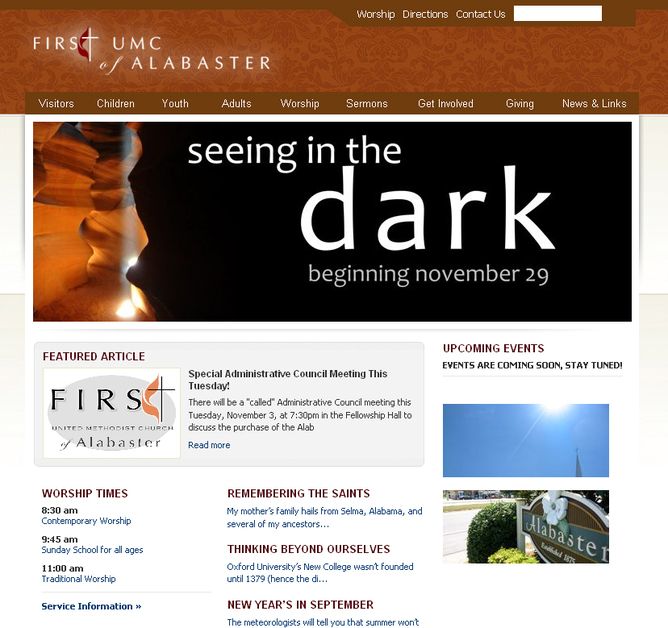 Redesign of church site with fully functional cms.